It is one of the most annoying, revolting and confusing situations you might face. You can’t use the bathroom because the toilet is clogged, the smell of the water going stale is getting to you and there is no plunger at hand. This morning couldn’t get worse, could it? Never fear, we’re here. To help people in such situations we’re giving out a few unclogging lessons, watch and learn kids. That toilet you just flushed like usual didn’t like that, it’s threatening to explode. Like a volcano it’s threatening to erupt at any second. What to do? Quickly remove the lid and close the toilet flapper down below. The flapper gets water into the toilet bowl so you’re effectively cutting off the ‘lava’ supply. If you’re a sceptical person we recommend you cut off the supply to the toilet itself, the handle of which will be located somewhere on the floor under your toilet. Now that you’ve successfully avoided having a face-off with an angry volcano looking toilet, let us see what we can do about that pesky blockage that’s been bothering you. An old trick we found deep in the plumber archives tells us that all you need is a bucket and some hot water. Take the bucket and slowly pour the hot water into the toilet opening. The warm water will hopefully clear up the residue stuck in the drain and will clear up the blockage. If you have a plunger in hand we recommend you get in there and give it a nice old pulling and pushing to make sure there is nothing left in that toilet trap. This will ensure any left-over debris stuck gets drain out. After all this you should try flushing again to check if the blockage has cleared however we recommend you keep our previous advice in mind in case the dormant volcano awakens. Situations like these are difficult and slippery ones. Time is of the essence because no one wants to have to wait to go the bathroom. If the toilet is being stubborn and refusing to budge do not worry, soap has been known to ‘slip’ away unnoticed to help. See what we did there? 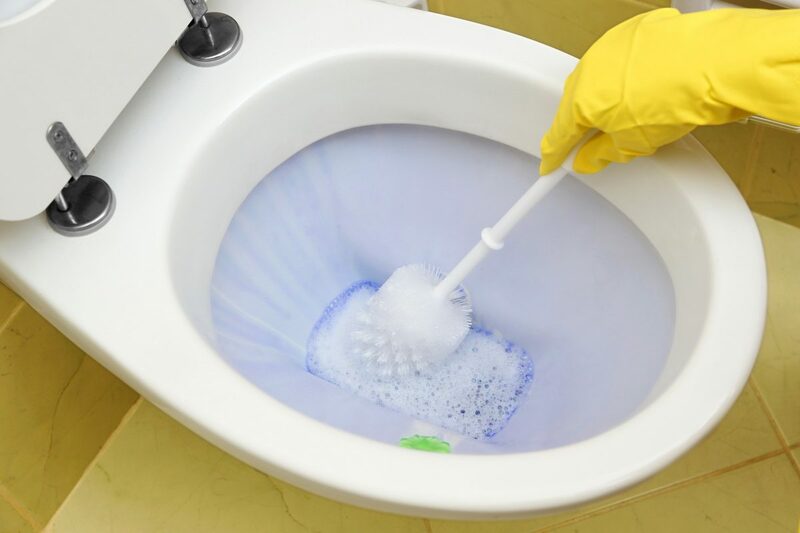 Adding a little bit of soap or detergent to the warm water is very effective as it further increases the potency of the anti- blockage brigade that is present in your bucket. Use it wisely! Some of you unfortunately have been there before. A friend forced you to try the ethnic foods that were too hot to handle. You had to let it out only to find out that the toilet is blocked. You need a way to solve your dirty little secret before it becomes the joke of the party. You don’t know where the plunger is and you don’t have a bucket you can use. Take a deep breath and remember, a waste bin is just a smaller bucket. Find your inner plumber and get to work soldier! We hope these tricks come in handy the next time you catch yourself in a ‘stinky’ situation. Did you see what we did there? We’re too good.